Even the hungriest Thanksgiving guests often leave a significant portion of the turkey untouched. There are only so many cold turkey sandwiches you can eat before you start to crave something a bit different. For something more flavorful, check out these frugal recipes for your leftover Thanksgiving turkey. 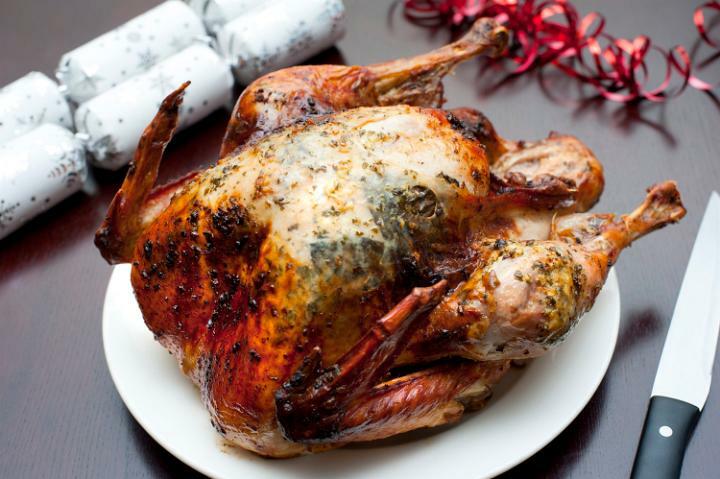 This recipe gives you a creative way to put your turkey carcass to good use. Both light and dark meat taste absolutely delicious in this hearty winter soup. Put your turkey carcass in a stockpot with water, salt and bay leaves. Bring it to a boil, then cover and simmer for two hours. Remove the carcass and strain the broth, discarding fat and bay leaves. Add in the vegetables and rice. Cook until the vegetables are tender. Cut leftover turkey into bite-piece pieces and add to broth. Add cream soup and heat mixture through. You might not think of using that leftover turkey for breakfast on Black Friday, but it actually makes a delicious hash. Plus, the recipe requires only a few inexpensive ingredients but delivers a lot of flavor. Cover potatoes with cold water and partially cover. Simmer for 20 to 25 minutes until the potatoes are just tender. Drain potatoes and allow to cool slightly before coarsely grating them. Melt 6 tbsp. of butter in a skillet over medium-high heat. Cook the onion and peppers for 8 to 10 minutes until golden brown. Add the turkey, potatoes, salt and pepper to skillet. Cook 15 to 20 minutes, turning occasionally. Set aside. Fry eggs in the remaining tbsp. of butter. Serve on top of hash. Pasta is always a budget-friendly go-to meal, but it can get a bit old if you’re only mixing it with regular tomato sauce. Use your leftover turkey to create a winning pasta meal that includes plenty of protein and vegetables in a rich, creamy sauce. Feel free to substitute any leftover vegetables you have on hand for the ones listed in this recipe. While pasta cooks, sauté asparagus and carrots in butter for 3 to 4 minutes. Add mushrooms, squash and zucchini and sauté until crisp-tender. Stir in the turkey, tomato, dressing mix and cream. Boil for two minutes while stirring. Drain pasta and toss it with the cream and vegetable mixture. Service with grated Parmesan cheese. Make a meal that tastes totally different than your Thanksgiving feast with this flavorful turkey curry. This recipe ensures that you won’t get sick of that plain turkey taste in the days following your holiday gathering. Plus, many of these cheap ingredients are found in the typical pantry or fridge just waiting to be used. Bring water to a boil in a saucepan. Add rice and reduce heat. Cover and simmer for 20 minutes. In a separate saucepan, melt butter over medium heat. Sauté onion until translucent (not browned). Reduce second pan to a summer and add mushroom soup, mushrooms and milk. Stir occasionally until smooth. Add sour cream, curry powder and turkey to mixture. Heat through while stirring, then cover and place on low simmer for 20 to 25 minutes. Ladle mixture over rice to serve. Turkey ramen: Ramen noodles are incredibly cheap and easy to make. Add your turkey to microwaveable packages of ramen in any flavor for a heartier meal. Turkey omelets: Eggs are inexpensive and healthy. Add your leftover turkey to create an omelet or scramble with even more protein. Chop up leftover veggies to use as well. Turkey Caesar salad: It’s just as good as a chicken Caesar salad, but it’s an option you may have not considered before. This is a great reason to save any leftover salad from your Thanksgiving feast. Turkey grilled cheese: Throw some of that turkey on your grilled cheese to make it a bit heartier and more flavorful. Certain leftover veggies, sauces or spreads could also taste great when used in this recipe.